Apart from love, music is the one element I could not do without. Here I am my most personal and autobiographical. The music being its own entity provides me with enough private space to dare to go deeply. It transports me to another realm. I feel completely aligned with my life purpose. That is not to say it is without its trials. In some ways this is also where I am the most challenged and feel like a constant beginner. The following sections describe my three solo albums. You can listen to and buy my work here as well as on download and streaming sites. My work has been used in television (Don’t tell the Bride) and corporate films (Deloitte CFO App, ASDA). More importantly though, I hope that my music is experienced as part of peoples lives- both the ups and downs. That’s what it’s really all about! Flaming Heart (2013) is an album about longing, loving and letting go. It is the pinnacle of my Heart series; deeply personal, groovy and hypnotic with pathos and humour in equal measure. It is life-affirming and profound. The album is self-released, mainly because my training and experience has finally lead me to a point where I feel my skills enable me to produce what I hear in my head. I also think this is where art and music is right now. It is about the artist keeping as much clarity and control as possible over the entire process. That way it stays pure and true. Creating this album took me to the edge of my capability and I can honestly say I gave it my all. And that is a great feeling! Look at the album cover. Look at it. 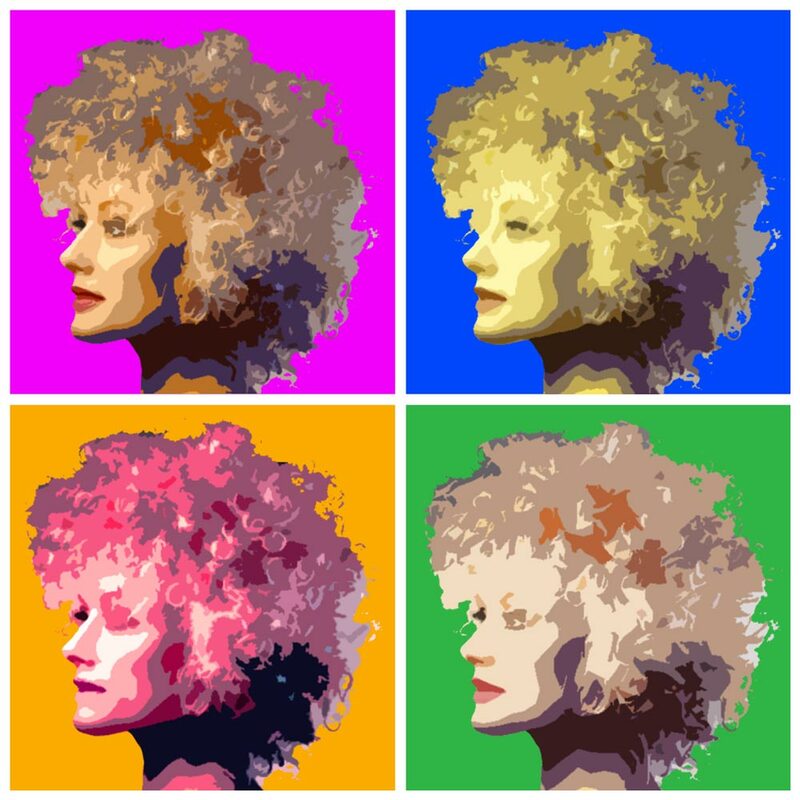 A vaguely psychedelic blonde with an afro that has hearts rising in patterns while she coyly looks at someone off-cover. And why are there three coffee cups when she’s the only one? And why are there musical notes coming out of that one cup? This is the sort of album you buy despite knowing nothing about the music contained within, no questions asked. Thankfully, this is some of the coolest bring-you-to-your-knees female-voiced folk rock from 1969 that wasn’t recorded in 1969. Swedish-born but London-based Kristina Bill cuts 12 tracks for your listening pleasure. Flaming Heart is the third in her Heart series, which explores themes of love, loss, and longing. She’s been compared to Kate Bush, Beth Gibbons (Portishead) and Annie Lennox, which are all well and good, but her voice reminds me more of prog-rock queens Catherine Ribeiro and Anna Meek (Catapilla). She even gets into some vocal jazz territory every now and then. It’s tough, even brutish, but carries with it a gentle sexuality as well. On “I Like to Swing,” she proclaims, over a baroque horn arrangement, that she likes them “young, even a little dumb/I like them rude, full of tattoos/I like some size, oh baby, that’s real nice.” If that doesn’t get your loins heated then wait until she hits glass-cracking notes when she delivers the track’s eponymous line. But the music isn’t as dangerous as the first couple tracks would appear. “Raindrops” is a flute-focused, delicately arranged number that sounds like it could be a bonus track on the legendary Parallelograms album. “Kom,” sung partly in Swedish, uses the harp, cello, and acoustic guitar to create poetry that, like frost on the window, melts as soon as Bill lets loose her warm vocals. Bill, besides writing all songs but one on here, also plays the guitar and piano AND helped program this wondrous work. She is backed by several talented musicians who help her weave her tales through the cloth of ethereal folk music. Celloist Jonathan Williams deserves special mention, as his mournful tones give Bill the leverage her voice needs to launch her music into the next big thing. It’s a gorgeous and dazzling album. Forget Miley Cyrus and Amanda Bynes or whoever, ladies like Kristina Bill are the women people need to be paying attention to. 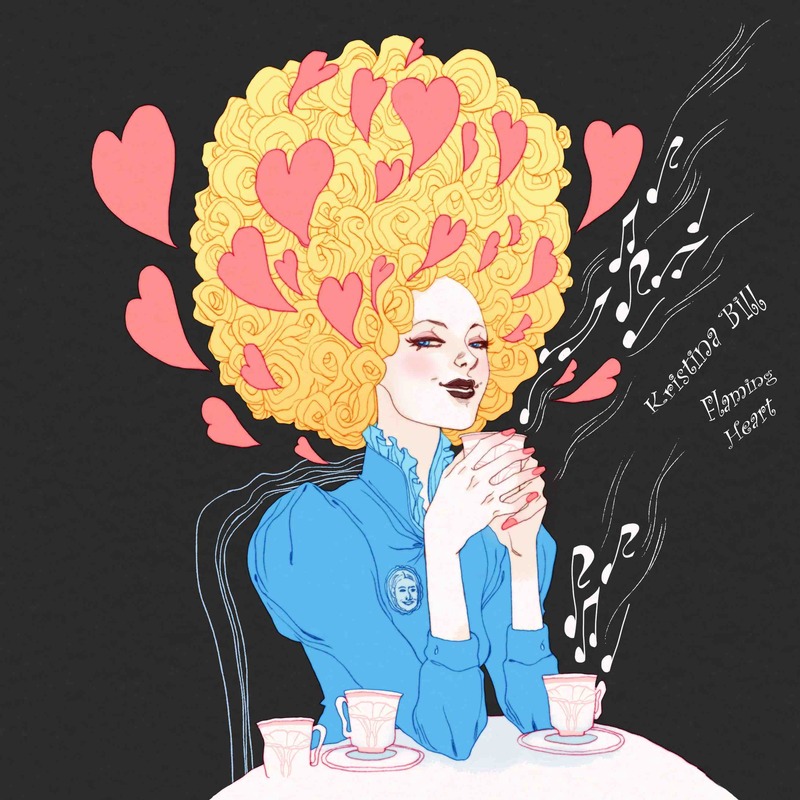 In Heart Beats (2011 Velvetine Records), I swap my signature Nordic inner-calm for dark dance vibes, upbeat house flavours and emotive, alternative club grooves. This is the middle album in my heart series and is me fulfilling a lifelong dream- to release dance music! Perhaps surprising considering that the rest of my work is pretty deep and dance music is often seen as less serious. My roots however are in the darker more impassioned 90s vibes where dance music was a development of the progressive rock and pop of the 70s and 80s. So here are some interpretations of my track Rainbow Heart by Mark Lord, Eddie Fingers, Primal Coda, Analogue Dog and Tonic Breaks. 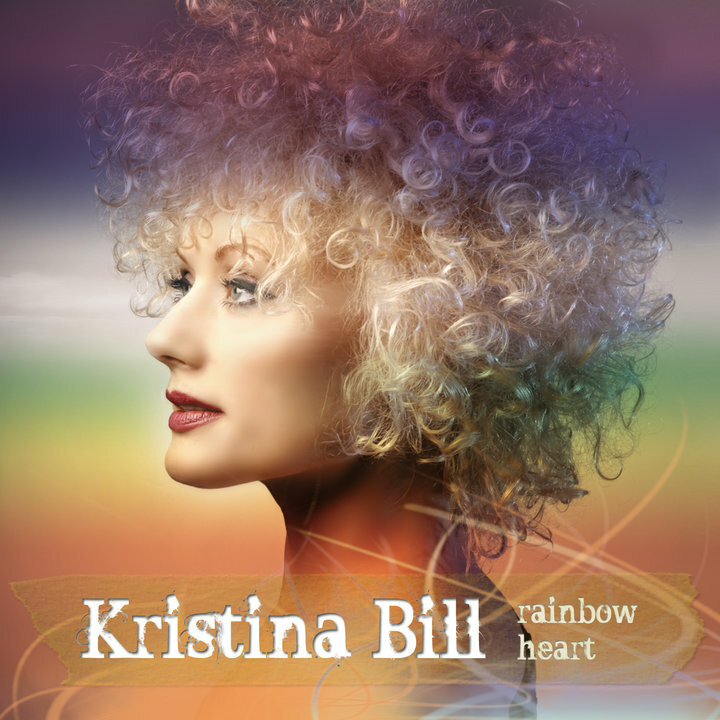 Some of it is a bit of fun but some is likely to grab you by the nether regions..
Rainbow Heart (2010 Velvetine Records) is the first album in my Heart series. It is the result of a near death experience I had in April 2007. The back of my head was scraped by a bullet in South London; a traumatic experience that gave me a sense of purpose and focus. I submerged myself in existential questioning, meditation and songwriting. I then spent the following three years working with Neil Luckett (producer), mixing, gigging, marketing and finally releasing the album in 2010 on Mark Lord’s Velvetine Records. The result is an evocative, fragile, powerful and glorious album that I feel a privilege to have written and be part of. I share it with you in joy, love and gratitude and hope that it will inspire you to dream, live to your fullest capacity and above all love.